The city, which includes the communities of East Rochester and Gonic, is home to six economic revitalization zones (ERZs) where businesses can earn tax credits for qualified capital investments that generate full-time employment. Our staff is ready to assist you, call (603) 335-7522. In recent years, the city has financed infrastructure improvements for a new 490,000 sf retail center and a major business park expansion to accommodate construction of a 325,000 sf manufacturing facility. 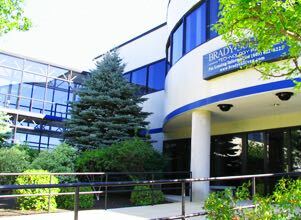 While not every business works on that scale, Rochester’s experienced Economic Development staff is ready to work with businesses and employers to identify federal, state and local incentives, including tax increment financing, tax incentives and coordinate with state and federal agencies on workforce development grants. "Waterstone is thrilled to be a part of the Rochester fabric thanks in large part to the extraordinary partnership with the Economic Development Office and the Rochester Economic Development Commission team. From ground breaking until Grand Opening of THE RIDGE Marketplace, the staff was not only incredibly welcoming, but also integral in all aspects of seeing the development come to fruition. We look forward to working alongside our friends at the City of Rochester for many years to come!" 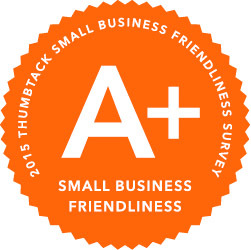 Rated A+ for “business friendliness” by Thumbtack, Rochester NH offers incentives tailored to a range of industrial, commercial and non-profit enterprises. The Rochester ED staff will work with businesses to identify tax credit programs for R & D, historic preservation, new market development and energy conservation; job training loans; and technical assistance for international trade and DOD procurement.